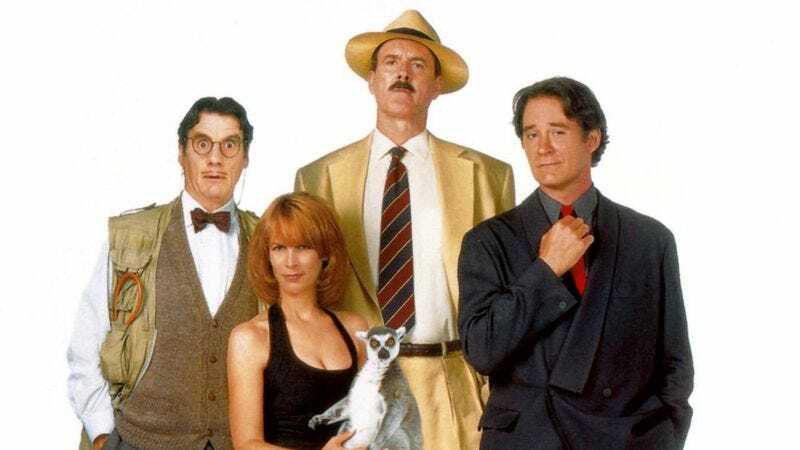 John Cleese, Michael Palin, Jamie Lee Curtis, and Kevin Kline engineered a transatlantic smash with A Fish Called Wanda, one of the funniest movies ever made. Out of that film’s success and Cleese’s desire not to cheapen it came Fierce Creatures: not technically a sequel, but a reteaming of the core Wanda players in a new story. Troupe-style comedies found greater success in the hands of Christopher Guest, Judd Apatow, and Adam McKay, but in 1997, nine years after Wanda, Creatures was more of mild curiosity. Now it’s something of a footnote—but a worthwhile one. The movie feels like a sequel because most of the stars reprise their roles in spirit, though not name: Cleese is once again a buttoned-up conformist who gets a taste of rebellion later in life; Curtis is another cunning bombshell who falls for him; and Kline reprises his aggressive, English-hating ignoramus act. Only Palin gets a reversal: He’s still a put-upon animal lover, but instead of a stutterer who can’t get through a sentence, he plays a man who seems physically incapable of shutting up. If this genteel, amusing comedy had come out in place of Wanda, it probably wouldn’t have led to a follow-up, though it might have eventually become a cult item. As a companion piece, though, it recreates some of that movie’s chemistry and avoids sullying its memory—in the end, more or less what Cleese and company intended. Availability: Fierce Creatures is available for purchase or rental from the usual outlets. A warning: the often bargain-priced DVD’s non-anamorphic widescreen will result in windowboxing on most flatscreen TVs.